Last year, Blake and I were able to attend the RiSE Festival with our good friends, Jason and Sydney. 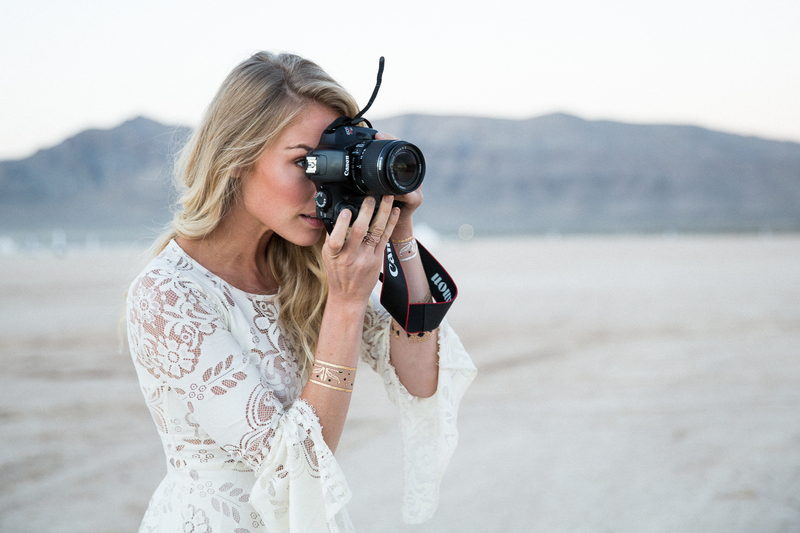 We documented our experience together – Jason took photos and made a beautiful video. We were also lucky to collaborate with Free People, who also used the post I wrote for their blog. I can’t believe that was a year ago, and now we’re getting ready to attend RiSE for the second time this weekend, with family and friends that are family. In the spirit of reminiscing, I wanted to share this post with you again (see below). I’m also so excited to announce that we’ve teamed up with RiSE to give away two free tickets, one for you and one for a friend. Check my Instagram today to enter! 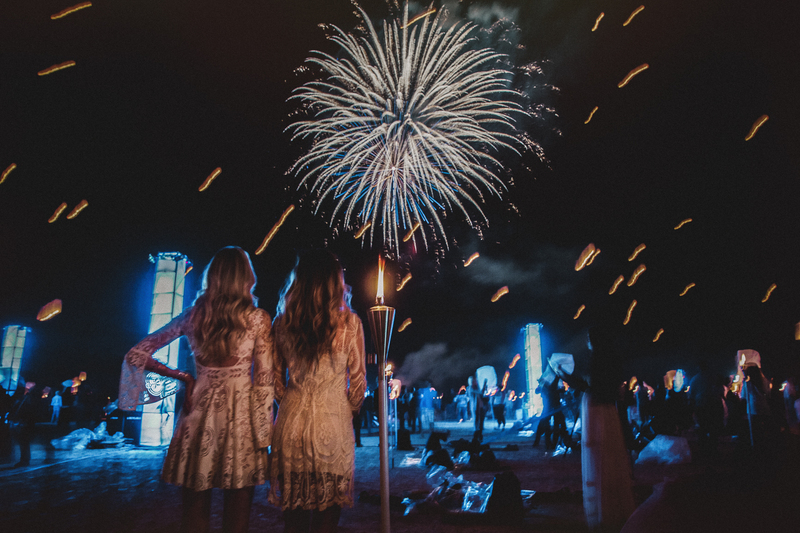 We are so excited to share something very special with you, on this very special day: our experience at the RiSE Festival. 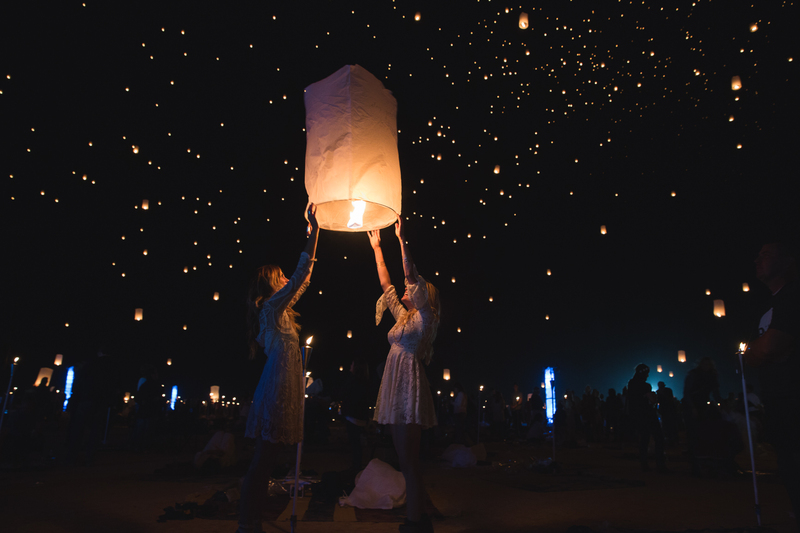 It was a lantern festival held in the middle of the Mojave Desert just last month, and we teamed up with Free People, RiSE and filmmaker Jason Maughan to attend the festival and document our experience. 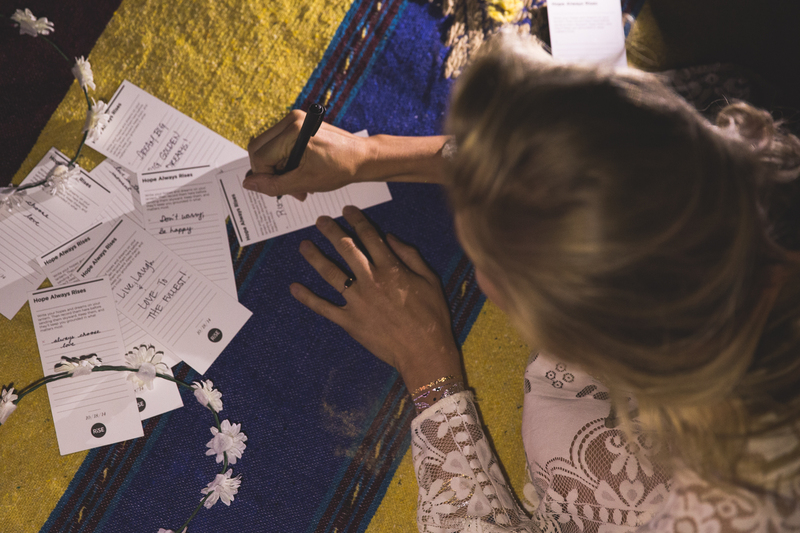 Golden Natives + Free People – Roadtrip to Rise from Jason Maughan. This enormous experience of life is made up of so many smaller instances. Some are significant, and some have much less meaning. Sadly, we often settle for the meaningless, whether we are actually awarding time to insignificance, or failing to recognize a certain moment’s importance. I am guilty of this, probably more than the average person. I pay too much attention to silly details, and not enough to the life behind the detail. I’ll cook a big dinner with people I love, and instead of enjoying their company I’ll worry about the one ingredient I forgot to buy. My Papa always used to say that the anticipation of an event can often be better than the actual event. For this reason, we’d always tell him as far in advance as possible when we’d be coming to visit, knowing how much he loved anticipating our arrival and the fun we’d have once we got there. 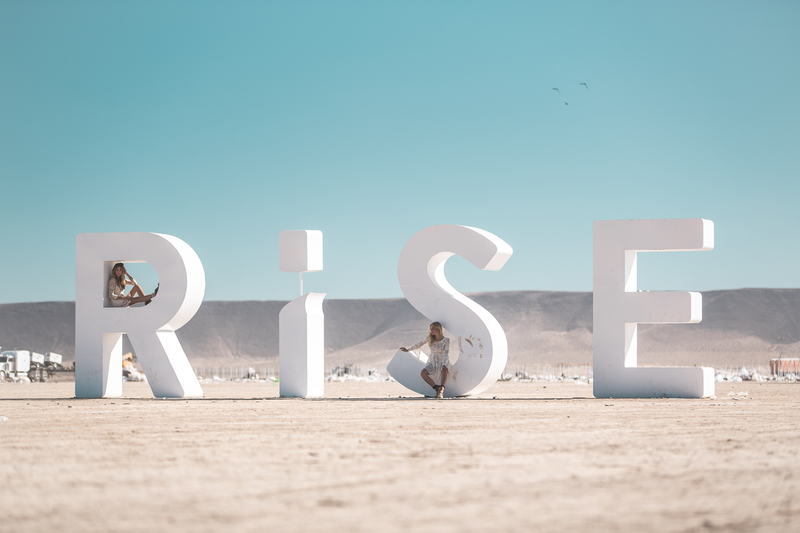 My one regret in going to the Rise Festival was not having the capacity to appreciate and anticipate the experience beforehand, but really I couldn’t have; my mind couldn’t have shaped something so beautiful. When we decided to make the trek to Vegas for the Rise Festival, I automatically got tangled in the logistics of the trip. I worried about how we’d document it, where we’d stay, how we’d get to the event, who we’d be with, what we’d wear…the list goes on. As we drove from California to Las Vegas, we were crowded by equipment and luggage. But we saw a beautiful sunset, swapped good stories, and stopped at a funny little diner with horrible food, which resulted in some pretty good laughs. But it wasn’t until we reached the venue of Rise that I began to understand the colossal uniqueness of everything I was about to experience. The setting alone was incredible. We were in a dry lakebed in the middle of the Mojave Desert. The blank landscape has a beauty all its own, and as the sun dropped down over the horizon, everything glowed like magic. I watched masses of people walking the path together to the center of the festival. Everyone looked so beautiful in that golden hour light. We hung back for a minute to observe, to soak it all in, appreciating their beauty before joining them. We found our places in the circular pattern of tiki torches, and as we laid out our yoga mats, I started to see a few familiar faces of friends with whom I’d become disconnected, and our reunion was so fulfilling. There was an excitement in the air, although most of us didn’t know exactly what was about to happen. As the sun disappeared and darkness closed in, the anticipation grew. Joshua James began playing his set, and I could only close my eyes and smile. He has this hypnotizing voice that I’ve loved for years, I remember when he used to play tiny little concerts on the street back when I was in college. It was such a full circle, cathartic moment for me to see him playing in the big venue, only adding to the anticipation I was trying to savor. Getting lost in the music, Sydney and I danced for a while, then sat on our yoga mats to prepare for the big send off by writing our wishes and hopes on our lanterns. As I struggled to transfer words to my lantern, I suddenly wished I had been more prepared. I wished I had thought more about the heart of the festival, and the real reason I was there – the soul reason – instead of the silly details. This feeling of responsibility filled me, responsibility to wish for something lasting, something needed, both for myself and for those I love. Before I felt ready, all the tiki torches began to light – thousands of personal flames simultaneously igniting in this perfect circuitous formation. Such an amazing thing to see in itself! The initial launch came before I was ready. Sydney and I held up our first lantern together, and I know we both felt our heartbeats gaining speed. We couldn’t decide whether to look at each other and our own lantern, or at the beauty of the whole. 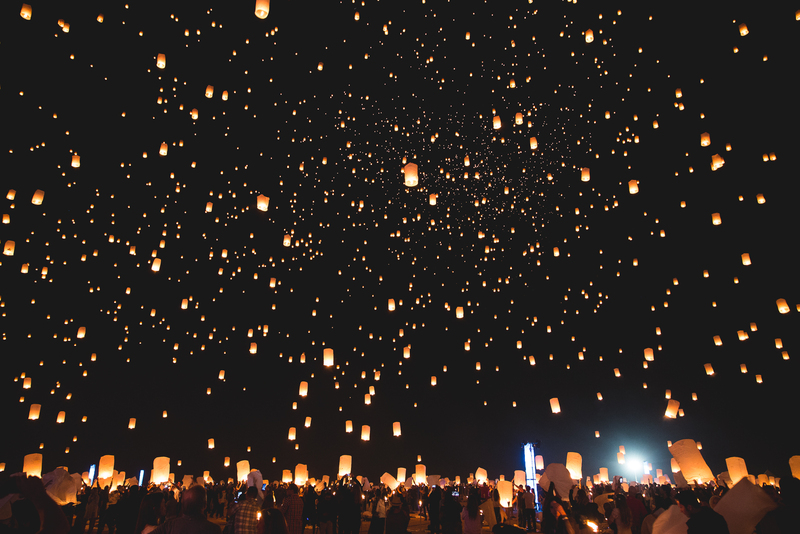 The rest of the crowd was also grasping their lanterns, waiting to release them together for the first time; wanting to keep them close but also wanting to witness their flight. The countdown came, and the first lanterns launched. The sheer beauty of the moment could not only be seen but felt, and it was unlike anything I have ever experienced. Suddenly I found clarity; I knew exactly why I was there and I knew the words with which I wanted my lantern to fly. I was sending up that lantern for so many reasons – some for myself, and some for the people I love – some who are still here, and some who have passed. I remember looking at Sydney and at Blake, and we all had tears in our eyes. In that moment, everything seemed so simple, so unambiguous, so significant. Of all the things going through my mind that night, I remember being so grateful for the people I love. If I had to break down my life to what matters most, it will always be those people. I wanted each and every one of them there with me. And in some ways, I think many of them were. 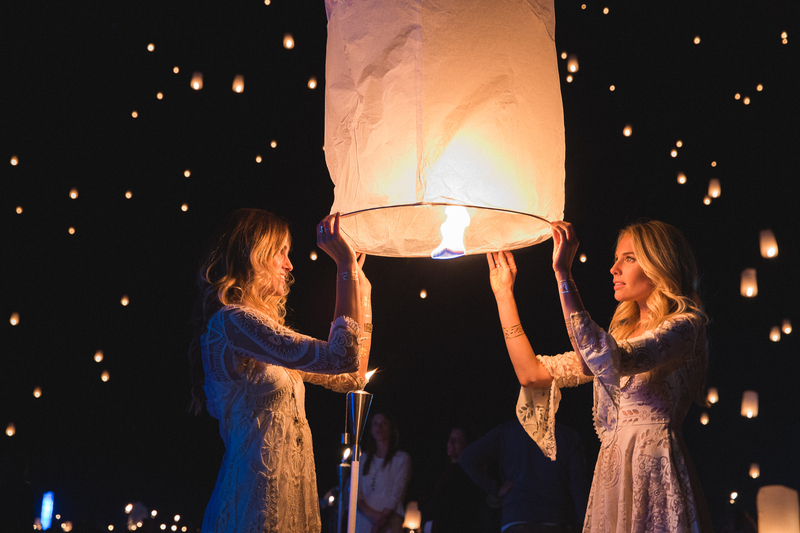 It was extraordinary to see so many people present, all for different reasons but also kind of for the same reason – to write our individual wishes on our identical lanterns, and to release those common fires to the sky. Here, Rise created a moment of the deepest significance, rooting itself permanently into our memories – a visible and spiritual unity, at the center of which we stood together. So many factors contributed to the amazing experience we claimed: the stunning design and planning by our good friend Bronson, beautiful music composed by Dane Holmes, authentic live music by Joshua James. In addition, I’m so grateful to Jason Maughan for documenting this incredible experience for Sydney and me, both in photos and video. And of course, I want to thank Free People and RiSE for hosting us! 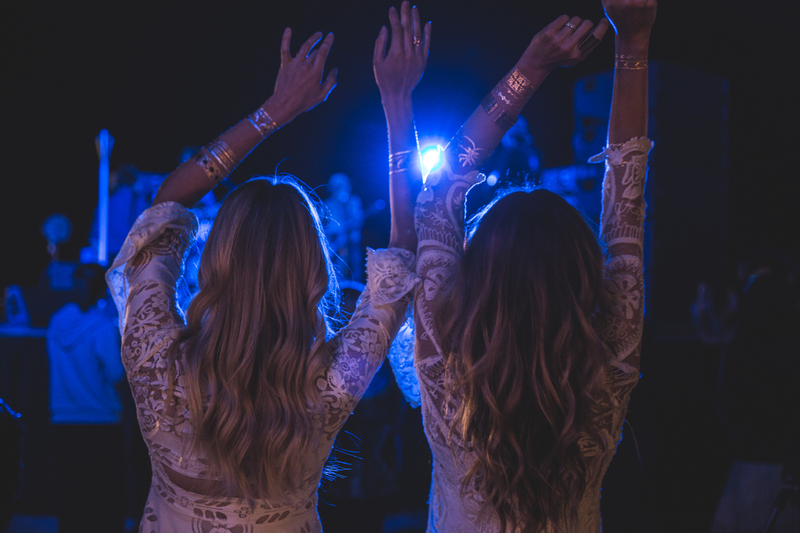 View our guest post on Free People’s blog here!